Spring has arrived and nature is renewing all things in preparation again for winter. Just like nature’s unquenchable desire to grow, the Netwoven team has been studying new releases planned by Microsoft, including SharePoint 2015. When it comes to helping your business grow and prosper, we’re dedicated to helping you utilize solutions to save time, increase productivity and delight your customers. We look forward to collaborating with you to bring out the best in your business to help you grow and flourish! Companies of all sizes are migrating to the Office 365 platform to embrace the advantages of infrastructure and Exchange in the cloud. Moving part or all of your Office, SharePoint, Exchange and user management functionality to the cloud can provide several benefits–however, it’s important to get your cloud strategy aligned. At Netwoven, our engineers and consultants provide expert guidance to you to design a cloud strategy that will meet the unique aspects of your business needs and goals. We don’t take a “cookie cutter” approach to the cloud. Instead, we invest time to learn create a plan which maximizes your cost savings and allows your team to take advantage of the anywhere access provided by cloud-based solutions. Learn more by contacting us for a consultation today. Many organizations use Jive today as a social platform for internal and customer communication. Jive is a great platform for social collaboration, however, the cost of purchasing and running it can be expensive for many organizations. SharePoint 2013 and Yammer can provide a great social platform for most organizations. The social platform can be well integrated with other systems in the organization. Organizations can save on licensing, and customization costs by basing their strategy on SharePoint and Yammer. Netwoven can take your Jive spaces and migrate them to SharePoint sites. We can migrate documents, discussion threads, security and other associated content. For additional information, please contact us. Customer database migration services to migrate from your legacy system to CRM and maximize interoperability with other operations such as billing, ticketing, outbound marketing, etc. Call us to access a team of digital marketing professionals who are passionate and enthusiastic about your business and can help you plan for a robust 2014. We’ve moved and expanded! Our Bay area Corporate Offices recently moved into new space. The new office is equipped with a training facility to help conduct Design sessions and training sessions for customers. Watch for our Open House Celebration soon! 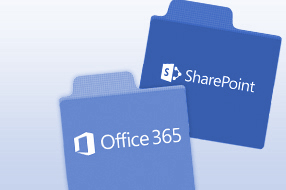 Office Graph was announced – This will have tremendous effect on the insights that can be drawn from connections and interactions that happen in SharePoint, Exchange, OneDrive, Yammer, etc. Netwoven also hosted a party during the conference on March 5th, 2014 at The Venetian which was attended by members from various companies. Netwoven and Omnicell, a leading provider of comprehensive, technologically advanced automation, are very pleased to announce the launch of the Peninsula Office 365 User Group! Born out of customer requests to have a community focused on the opportunities and challenges of Office365, the User Group will meet the first Thursday of each month. Expect speakers from Microsoft as well as other industry experts. Sign up today to get more information and help ensure successful planning, deployment and adoption of Office 365 within your firm! Watch the Webinar presented by Netwoven and BA Insight on Developing an Effective Search Strategy for Office 365 and Hybrid Deployments.